This all-terrain typeface brings a soft disposition to an otherwise industrial framework. Variable serifs and ball finials keep the design from taking itself too seriously while reinforced stems and strokes ensure a strong run at any typographic scale. Available in three weights with matching italics. 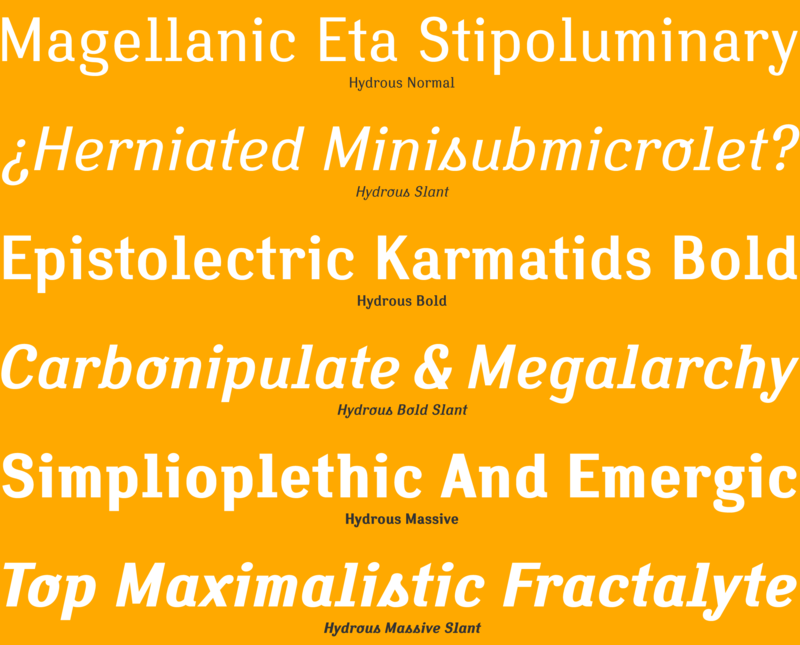 The Hydrous fonts include: Western and Eastern European characters, Stylistic Alternates, ligatures, and more.